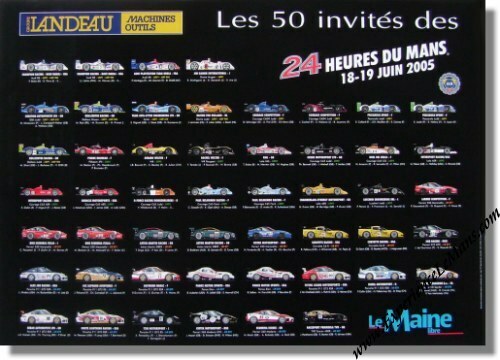 2005 Le Maine Libre All 50 Invited Contenders to the 24 Hours of Le Mans Poster. Issued by Le Maine Libre, a local Le Mans newspaper, it shows drawings of all the 50 invited cars for the 2005 Le Mans 24 Hour race. For the full results of this race, please see 24 Heures du Mans results 2005.